Pandit Birju Maharaj is a world famous Kathak dancer of the Kalka-Bindadin Gharana. He is a direct descendant of Ishwari Prasadji, the first known Kathak teacher. He also boasts of an excellent command over Hindustani classical music. 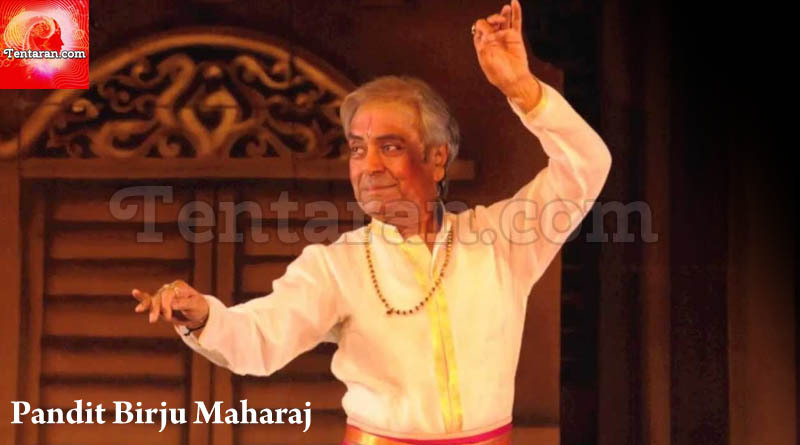 Brijmohan Mishra, popularly known as Pandit Birju Maharaj was born on 4 February 1938, in Varanasi, Uttar Pradesh, India into a family of prominent Kathak dancers. Surrounded by a musical atmosphere, his inborn talent surfaced at the early age of three years. It was clear that he was god-gifted as he began reciting complex tihais and tukras as a toddler. He gave his first performance at the young age of seven at Lucknow and after that there was no looking back. He soon gained a reputation as a notable dance teacher and eventually became the Head of Faculty and Director at the Kathak Kendra. Following his retirement he realised his dream of opening a dance-school and opened his own dance school named Kalashram. He has also choreographed Kathak dance sequences in Bollywood movies. His talent grew multi-fold when besides his mastery over Kathak, he also became a superb musician, percussionist, composer, teacher, director, choreographer and a poet. He went on to compose many dance dramas like ‘Gobardhan Leela’, ‘Makhan Chori’, ‘Malti-Madhav’, ‘Kumar Sambhav’, and ‘Phag Bahar’. He made his foray into Bollywood by composing classical dance sequences for Satyajit Ray’s film ‘Shatranj Ke Khiladi’. He has also choreographed in movies like Devdas, Dedh Ishqiya,Umrao Jaan and Bajirao Mastani . He went on to win a plethora of awards which include: Sangeet Natak Academy Award, Padma Vibhushan, Kalidas Samman, Soviet Land Nehru Award, SNA Award and Sangam Kala Award . He was conferred with two honorary doctorate degrees from Banaras Hindu University and Khairagarh University and the Nehru Fellowship. Even at the age of 79, he is still very active in teaching Kathak at his dance school.